January brought with it truckloads of snow and my birthday. Jen offered to treat me to dinner, so I decided, naturally, to take advantage of her generosity and help her lighten her wallet. 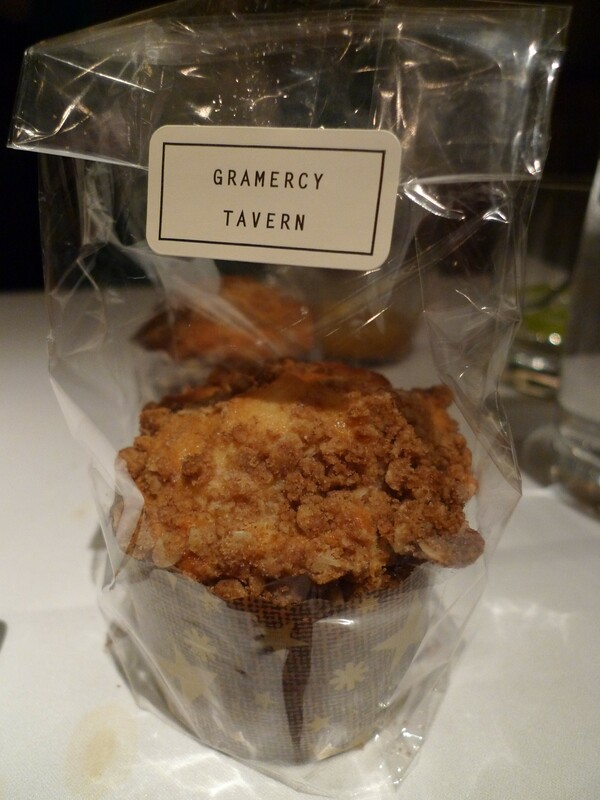 It didn’t take long after looking through our restaurant wish list to decide on Gramercy Tavern — it seemed to be the perfect combination of fancy, but not overbearingly stiff, and delicious. 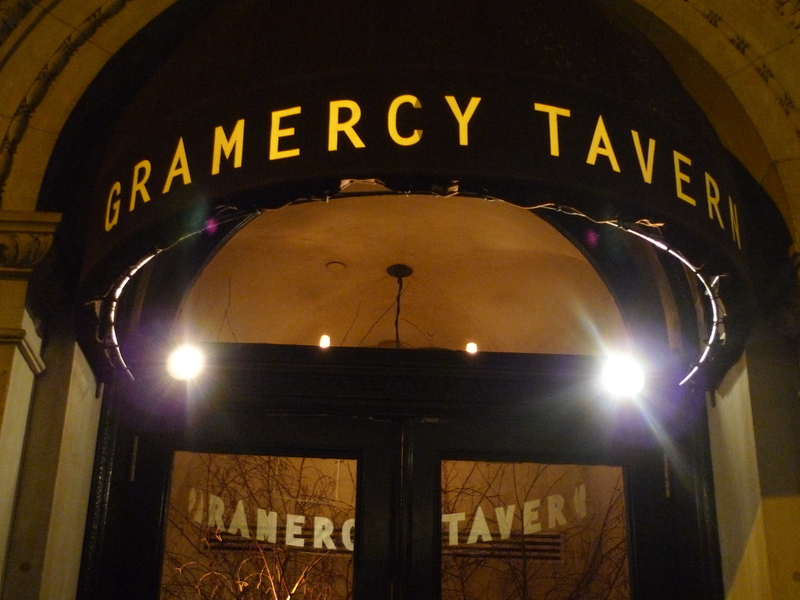 Plus, we knew Gramercy Tavern is one of Danny Meyer’s restaurants, and after trying Eleven Madison Park, Blue Smoke, and Shake Shack, I was certain we would not be disappointed. 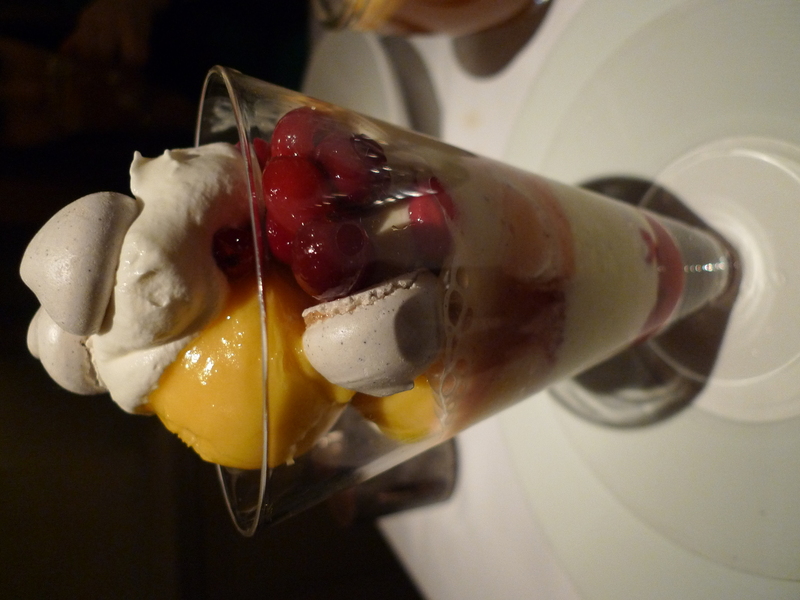 Since this post, I’ve also been to Maialino and once again had a great dining experience. 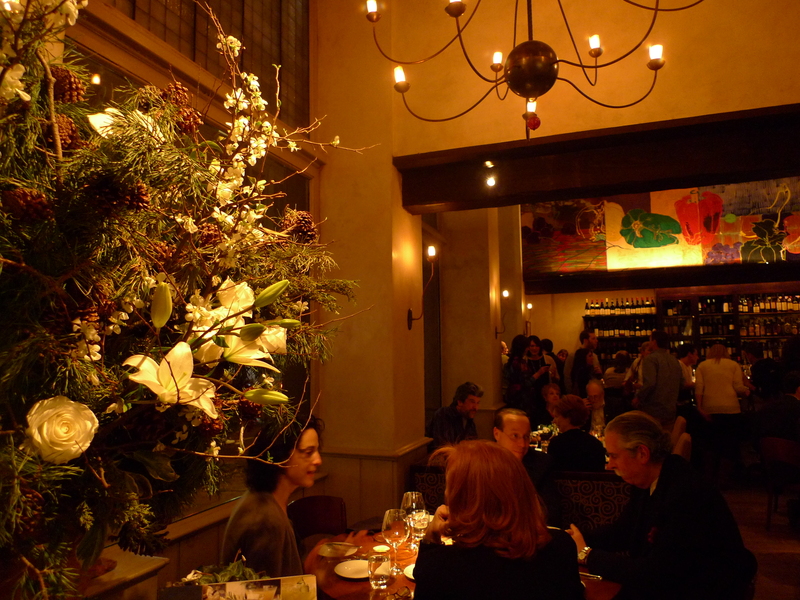 The restaurant is a beacon of light and warmth on the corner of East 20th and Park Ave. You can spot it from a block away — its warm glow inviting the frost bitten, ravenous New Yorkers to indulge in a rustic, savory meal. 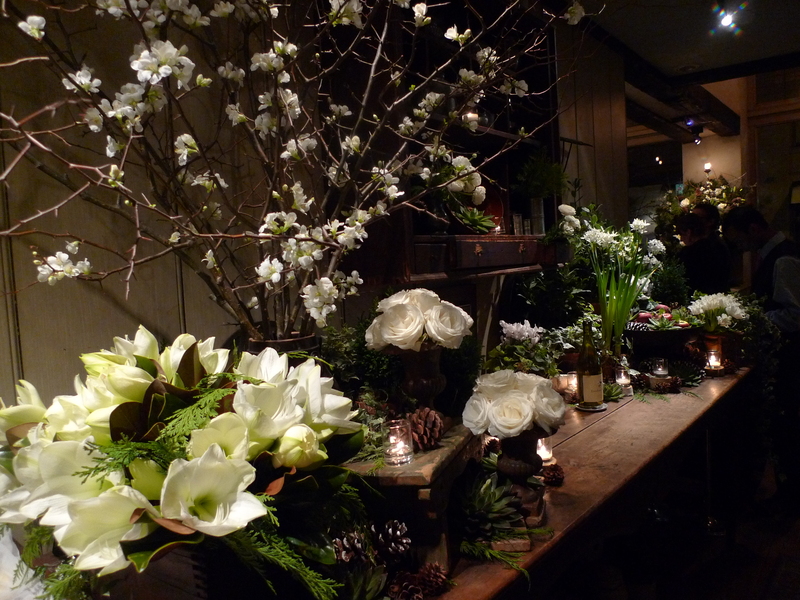 Inside, floral arrangements adorn the lobby, tables, dividers and bars replete with pine cones, fir branches, lilies, roses and other blooms. 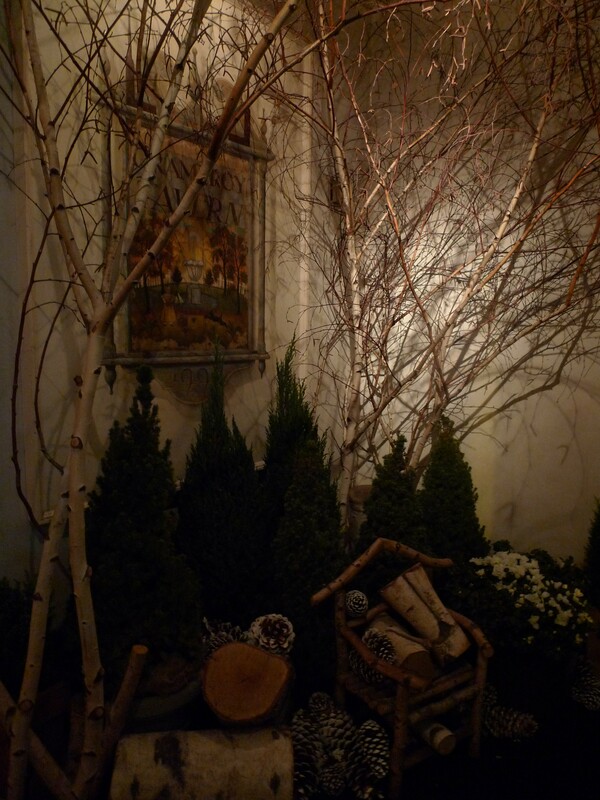 Copper sconces and antiques evoke the feel of an historic American tavern, a welcome stopover on a remote thoroughfare. But since we are actually in New York and not in the prairie, the linens are white and starched, service exquisite, and menu prix fixe. Jen and I decided to go with the normal menu, over a chef’s tasting because we did not feel we could handle 6 courses. We were, however, intrigued by the Nantucket Scallops and Urchin course from the tasting menu and added that à la carte to our meal. We chose cocktails over wine, because the cocktail list looked amazing, and given the frigid weather, opted for hot apple cider to accompany our desserts in lieu of tea, the spiked cider added a nice extra kick. We love cheesy puffs so much we make our own —the tapenade is a great addition… should try that next time we make them! 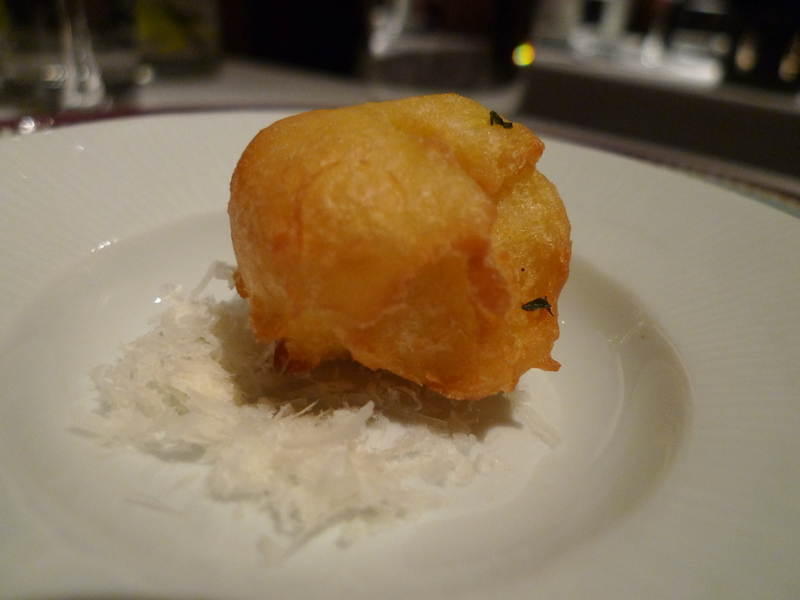 I thought sea urchin preparation could not surpass the urchin terrine at Bouley, until this dish was brought to us. The combination of meaty scallops, sweet carrot purée, salty red caviar and grainy texture of the urchin was unbelievable. 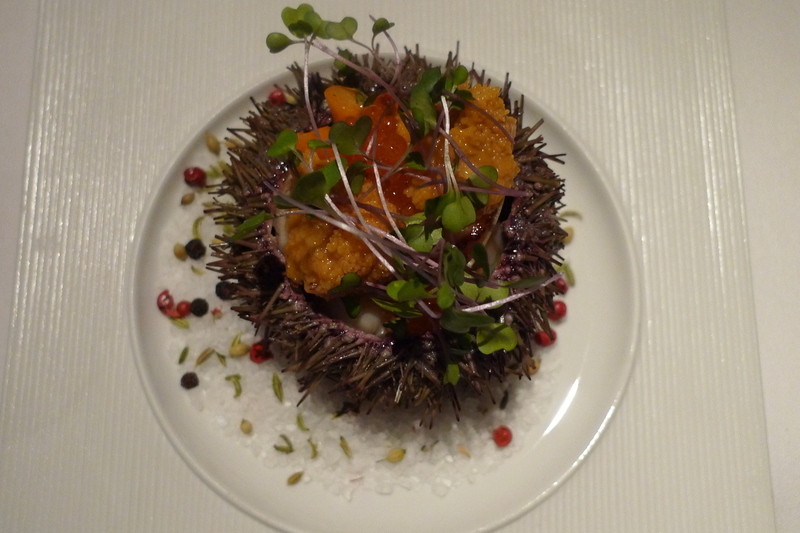 Add to that the presentation in a spiky urchin shell ona bed of sea salt and colorful peppercorns and the dish was absolutely flawless. I had never tried venisson tartare, or any raw red meat outside of beef (well, whale once in Iceland, but that’s neither here nor there). 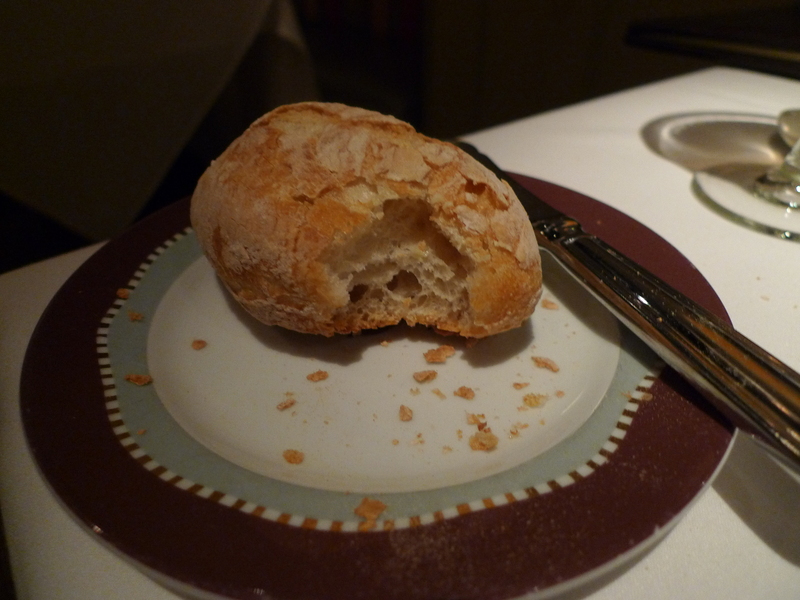 As a devout carnivore, I loved the dish, but Jen was uninspired (maybe she was emotionally attached to Bambi, who knows). 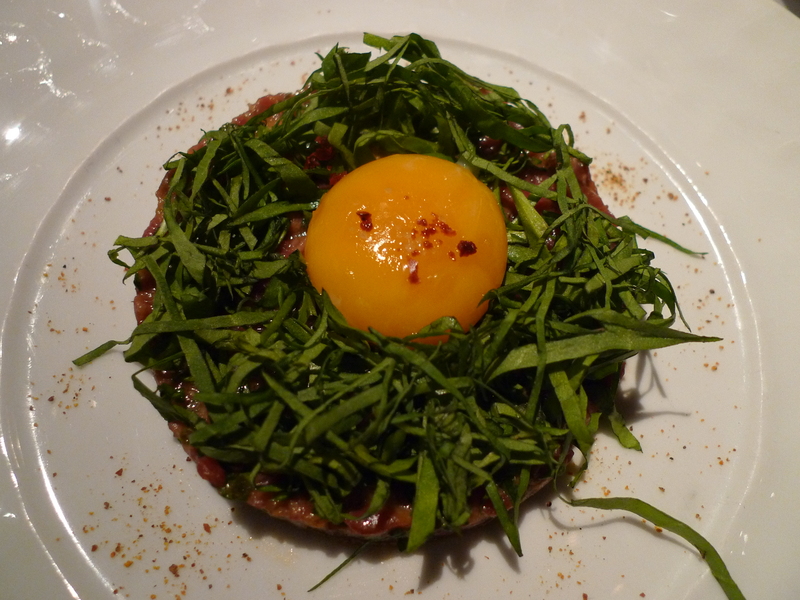 The tarte sorrel chiffonaded over the tartare added an extra flavor dimension and the fresh farm egg tied all the tastes together. This dish, as opposed to the previous one, really appealed to Jen (who loves pasta, and duck, for that matter), whereas I could have enjoyed more raw red meat. 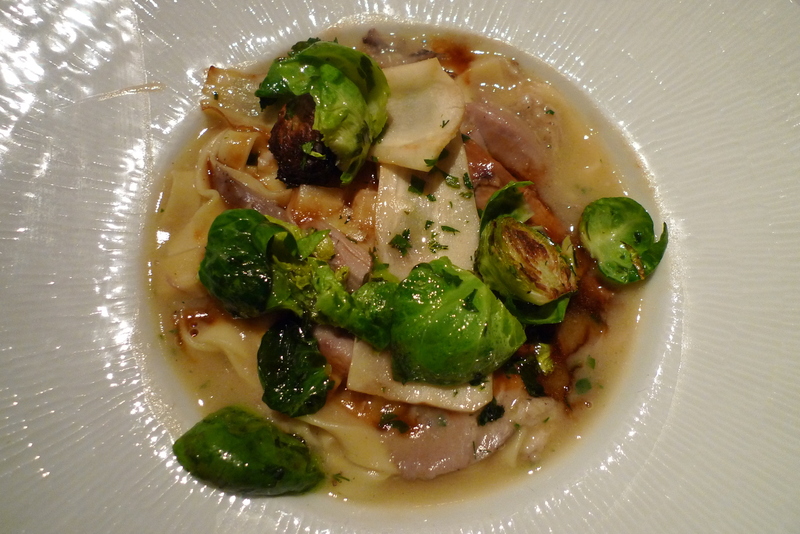 I do think the Brussels sprouts were outstanding, and am curious how the chefs managed to keep their bright green hue. I expected a little more our of this combination of fish and caviar. 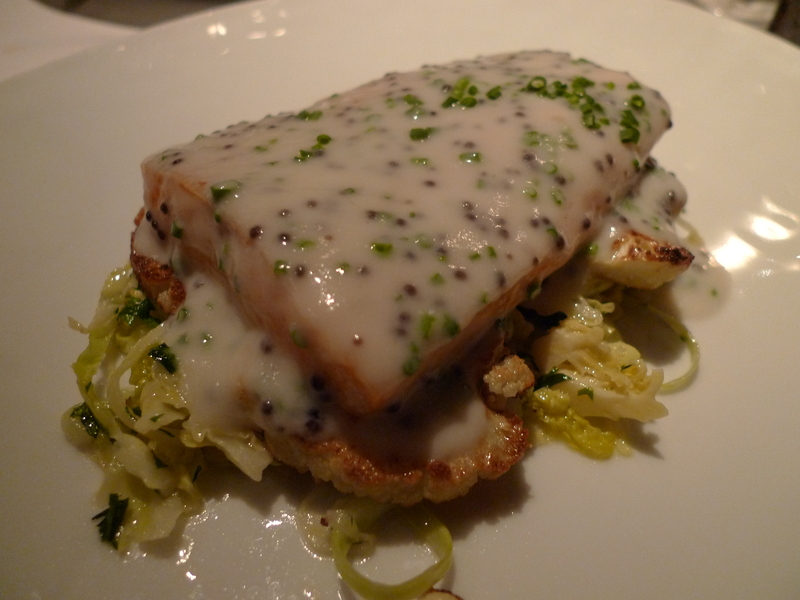 But the white sauce was overpowering; the fish itself though had great flaky texture. I’m starting to drool as I reminisce about this dish. 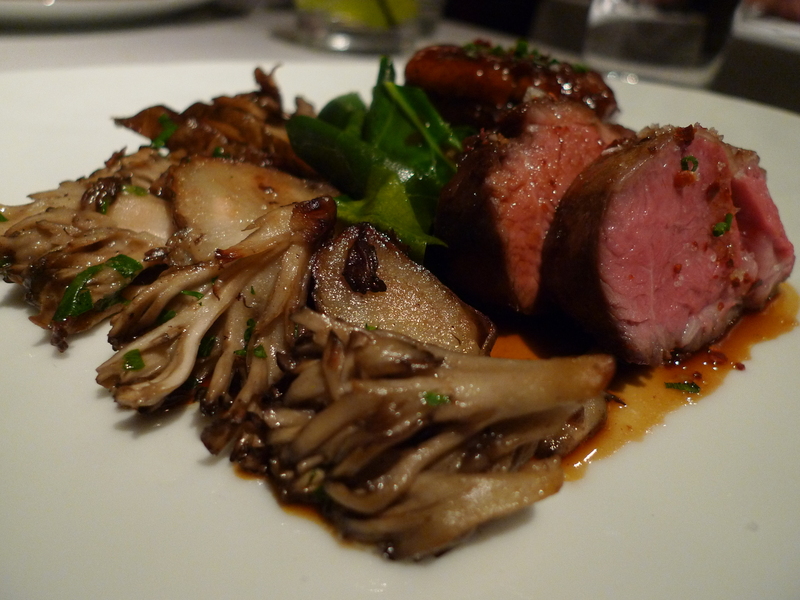 The lamb was cooked perfectly; it was tender and juicy and I adored the accompanying mushrooms and greens. 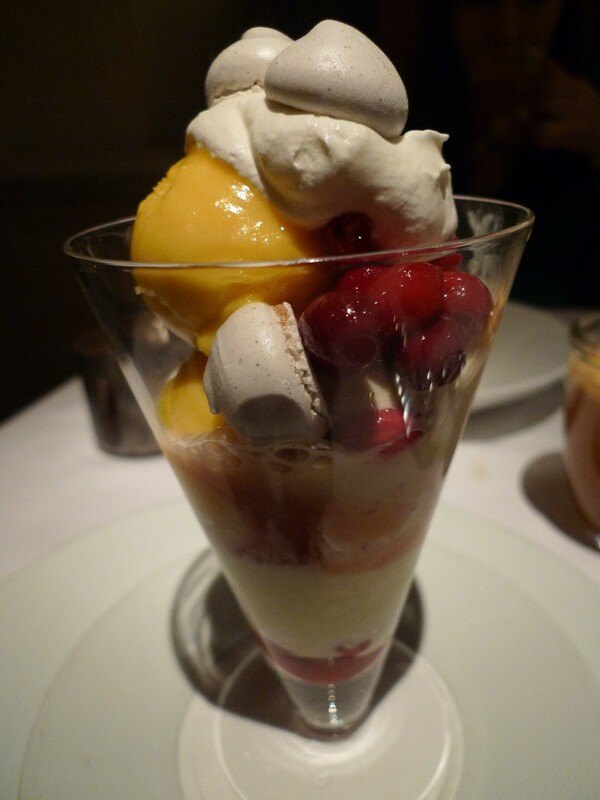 Pre-desserts intimidate me; they are extra food when I’m already getting full and they are always delicious. 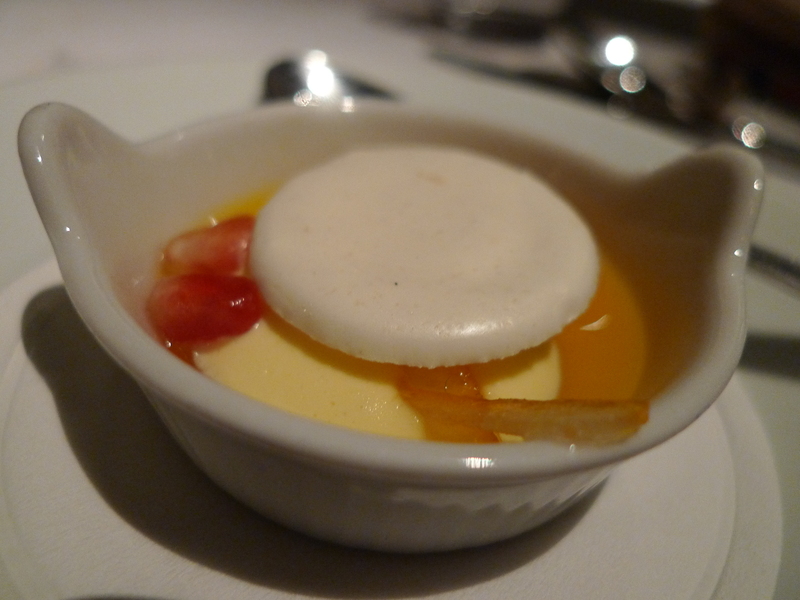 But I feel that in the same vein as “don’t eat sweets, it will ruin your dinner”, so should go the saying “don’t eat pre-dessert, it will ruin your dessert”. Although this little treat was light and yummy, it left less space for the other sweets. There was a lot going on here and somehow it magically worked. Loved the Earl Grey Meringues; I’m an Earl Grey tea fiend every morning. 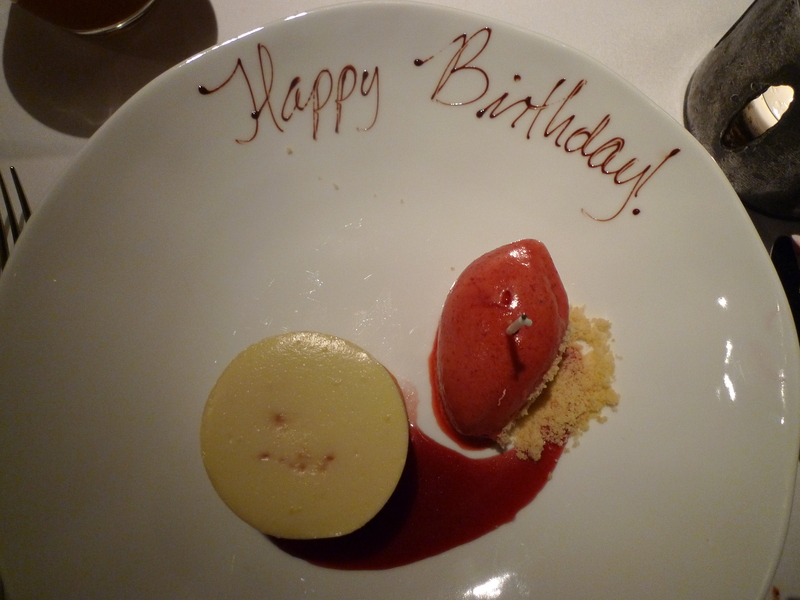 I’m not a huge cheesecake person, but this was delicious, and how could I resist the birthday love? 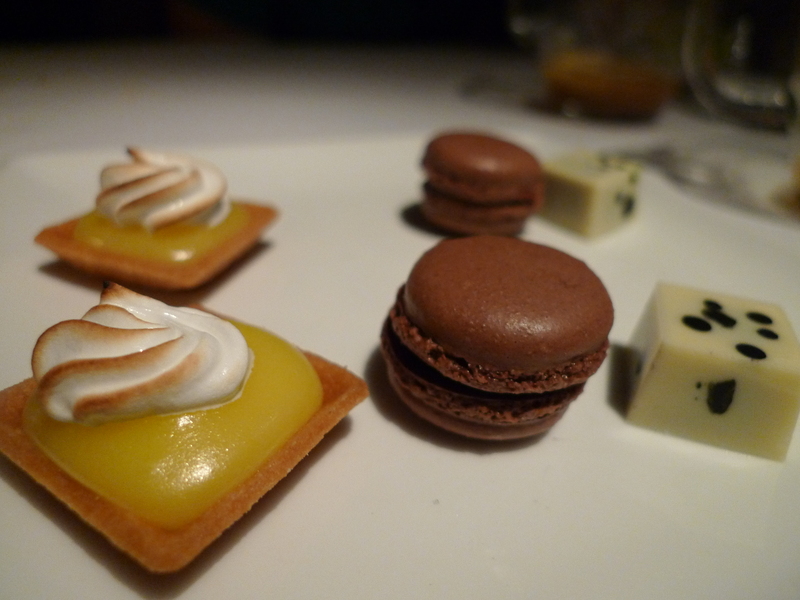 Loved these mignardises; all were tasty, but I only had room for a bite of each. 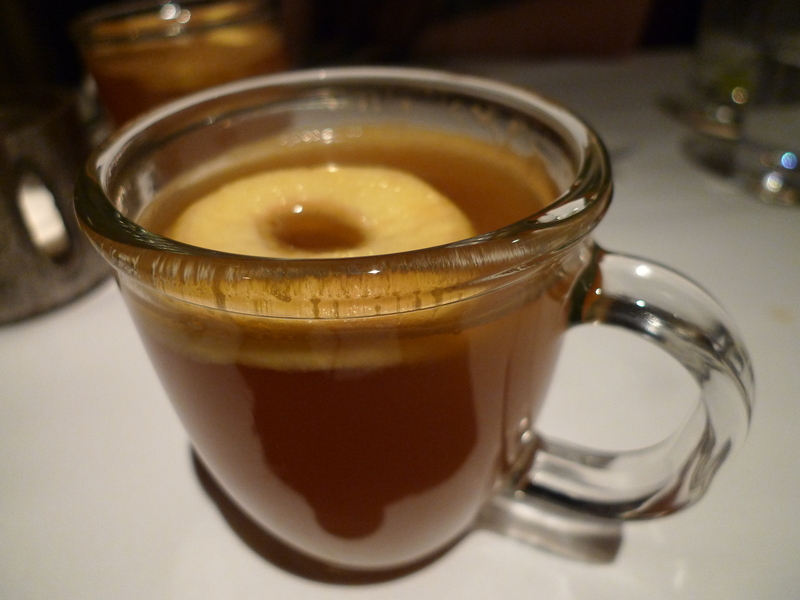 Love hot, spiked apple cider so much that I made some at home! I love take-home freebies, but have not tried these so cannot share my judgment yet.